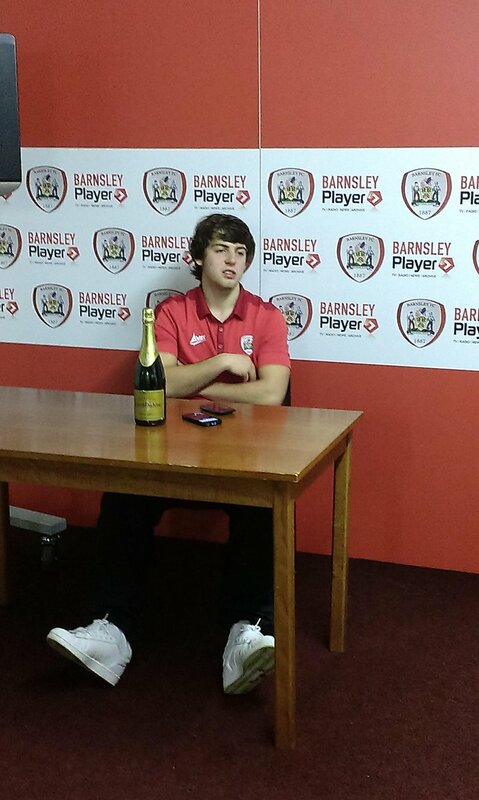 Manchester United prospect Ben Pearson has signed a one-month loan deal with League One club Barnsley. Born in Oldham, the talented midfielder joined the Reds in 2004 and has steadily ascended the ranks since, impressing at Under-18 level for Paul McGuinness and, more recently, with Warren Joyce’s promising Under-21s. The 20-year-old was also the proud winner of the Jimmy Murphy Player of the Year award in May 2013, a prize that has previously been claimed by the likes of Danny Welbeck, Federico Macheda and Will Keane. Pearson had a key role when United recorded a 2-1 win at Oakwell in pre-season and Barnsley manager Danny Wilson admits he was suitably impressed by the starlet. “Ben left a lasting impression on us from our friendly in July,” the Tykes boss explains to Barnsley's official website. Earlier on Thursday afternoon, it was confirmed that United and Burnley have reached an agreement for Mike Keane to complete a permanent transfer to Turf Moor. Hopefully gets regular game time. Really like him, don't think he'll make it though. A quick twitter search suggests Pearson is having a great game, Barnsley fans have quickly taken a liking to him. Voted Man of the Match by sponsors in a 2-0 win over Yeovil. Yeah that's the biggest problem with U21s, they don't get to play against more experienced players. Pearson's first game against men today and he didn't shy away by sounds of things. There's not enough kids like him anymore. I think a lot of the best English/British players are too weak. Scored today. Seems to be making good progress on loan. Barnsley manager Danny Wilson said after the game that he's the first name on teamsheet at the minute and he's hoping to extend Pearson's loan. Just read that he ran the length of the pitch to score! Keep an eye out for it on the Football League show later! Never thought i'd see him do that on a football pitch. Great to see him getting competitive football, suits his style. Barnsley manager Danny Wilson says Ben Pearson was "outstanding" in Barnsley's 1-0 win over Oldham. I hope he stays at Barnsley for the rest of the season. Yeah would be good. Move up to the Championship then hopefully next season. I would like to see him get a first team chance with us though. I think he's one of those players up's his game when playing against better players. I recall Dembele and Bentaleb playing in midfield against him for the U21s recently and he bossed them about. Loan extended until 8th of March. Good news. Hopefully the loan will be extended again by another month in March. Barnsley have sacked their manager. They lost the other night which makes it difficult for them to gain promotion. Hopefully the new manager will like Pearson too. Pearson started tonight so still in favour with the new manager. 1-0 up but Barnsley just been reduced to 10 men.